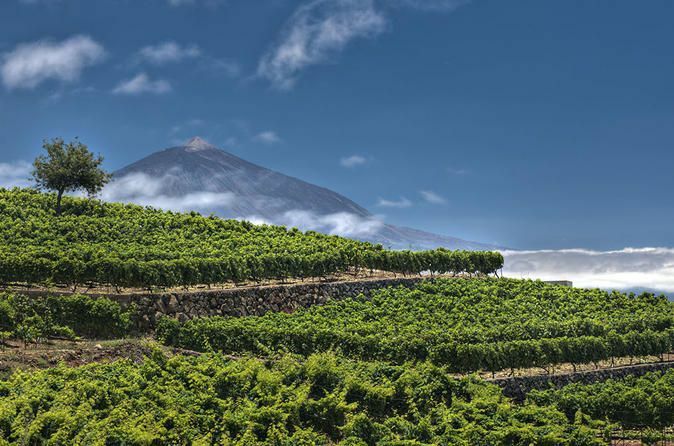 In this full day shore trip you visit the Mount Teide National Park, the world's third largest volcano and one of the most important sites on Tenerife. The city of La Laguna, the former capital of Tenerife, now a historical colonial destination declared a UNESCO World Heritage Site. You travel along scenic roads and visit the resort town of Puerto de la Cruz. Kick off the tour at San Cristobal de la Laguna, Tenerife's original capital city. Enjoy stepping back in time as you experience the atmosphere in this 16th century town. Next head through the Esperanza Forest to Mount Teide National Park, one of the most important sites on Tenerife. Here you can learn about the island's unique volcanic history and have a cable-car ride to the top for amazing views. Meet your private driver at the Santa Cruz de Tenerife Port to start your journey of the island. You will have a brief driving tour through the capital city of Santa Cruz. Next your driver will take you to San Cristobal de la Laguna, the original island capital. Next, head with your driver into the Esperanza Forest, the largest forest on the island, as you head toward Mount Teide National Park. Have a stop at the La Tarta for a nice view of Teide, the world's third largest volcano. The park is now a UNESCO world heritage site, and a must see while on Tenerife. This volcano's highest point is over 11,000 feet high. Descending from Mount Teide, your driver will take you through the lush La Oratova Valley and you can stop to see the unique rock formation known as la Rosa de Piedra. Next, have free time in the resort town of Puerto de la Cruz, before heading back to your ship.